Thinking of adopting a big dog but worried about the limited space in your tiny apartment? Dogs make the best companion, they are loyal, playful, and affectionate! 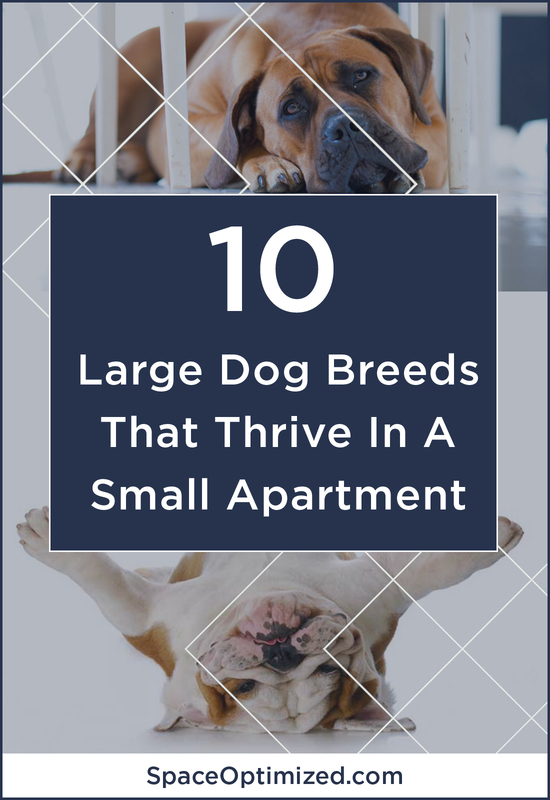 But if you think small dogs are the only breeds that are suitable for apartment living, think again. 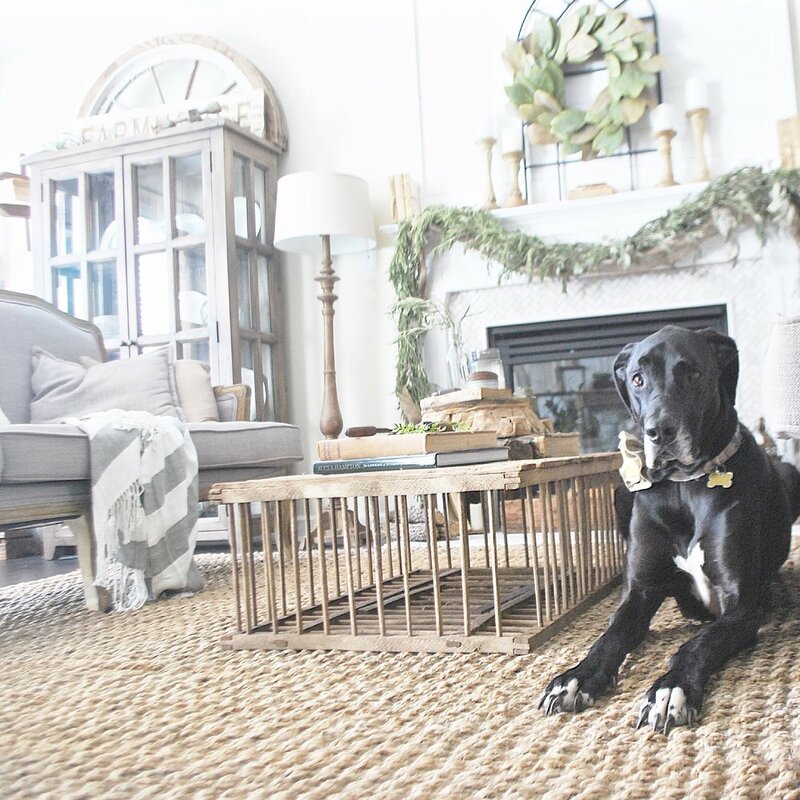 Contrary to popular notion, certain types of large dog breeds do well in small homes – or even a tiny apartment in a crowded city! In the same way, there are small dog breeds that are not suitable to keep in cramped quarters. 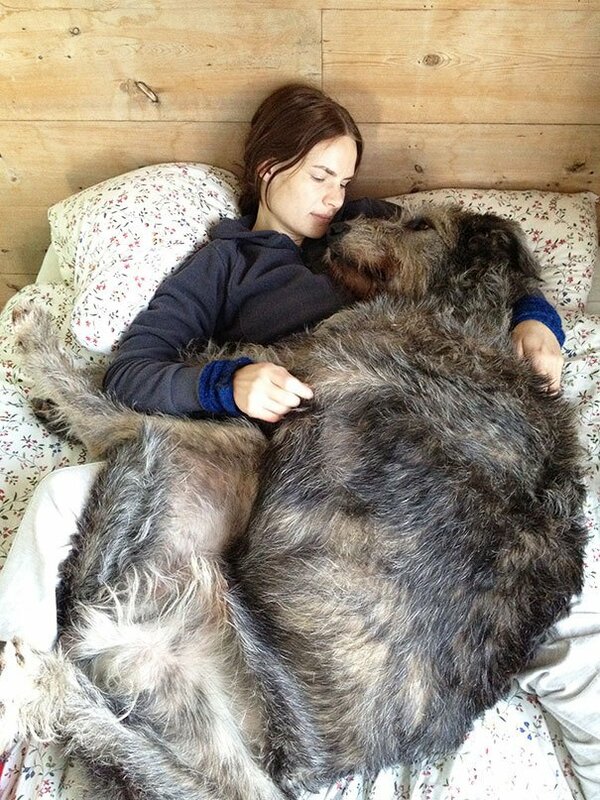 Simply put, size does not matter when it comes to raising dogs. A dog’s breed, personality, temperament, and energy level dictate whether it is suitable for apartment living or not. Most large dog breeds are fairly laid back and mellow. These dogs would probably spend all day taking up your sofa and snoozing. However, all dogs require daily exercise regardless of the breed and size. The intensity level of the exercise will vary from breed to breed. Don’t let the imposing size fool you, a Mastiff makes a fantastic companion for city dwellers living in a tiny apartment! Mastiffs are some of the largest dog breeds but they are also the gentlest! This mild-mannered dog breed adapts well to homes of any size, even a studio condo. Mastiff pups are quite a handful but they will mellow down as they grow. And grow they certainly will: an average sized Mastiff weighs about 120 to 230 pounds, that’s a Backstreet boy! 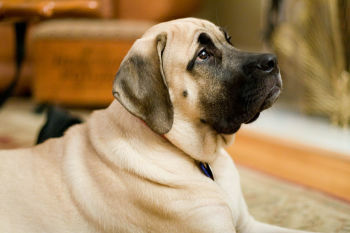 Mastiffs are not as playful as other dog breeds and are easy to live with. 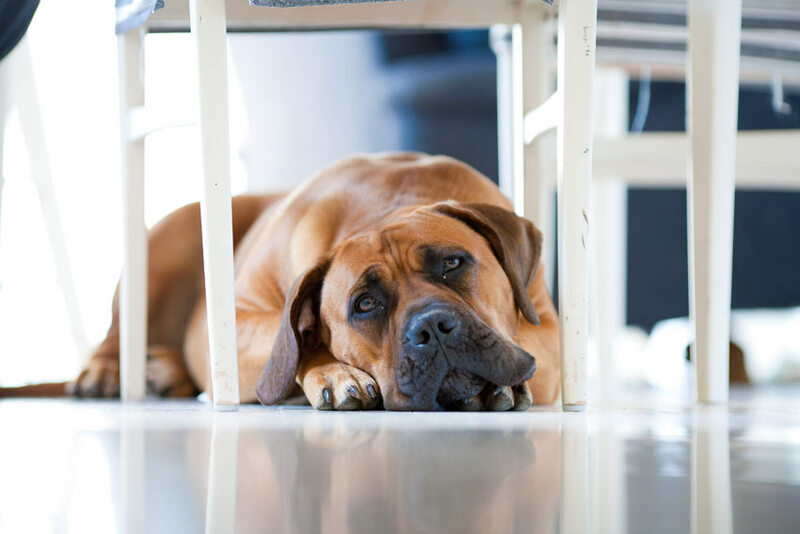 Although a Mastiff is generally calm, cool, and collected, it won’t think twice about stepping in when there’s a threat. This dog breed requires adequate exercise, like a short walk or regular visits to the park. Irish Wolfhound is a massive dog breed that measures about 30 to 35 inches at the shoulder and weighing 105 to a staggering 180 pounds! With its shaggy coat, imposing size, and commanding presence, the Wolfhound is a ferocious-looking dog but it’s really a gentle giant. It’s a playful, loving, and easygoing dog breed so an Irish Wolfhound makes a great canine companion. That said, the breed has a devastatingly short life span, about 6 to 8 years. 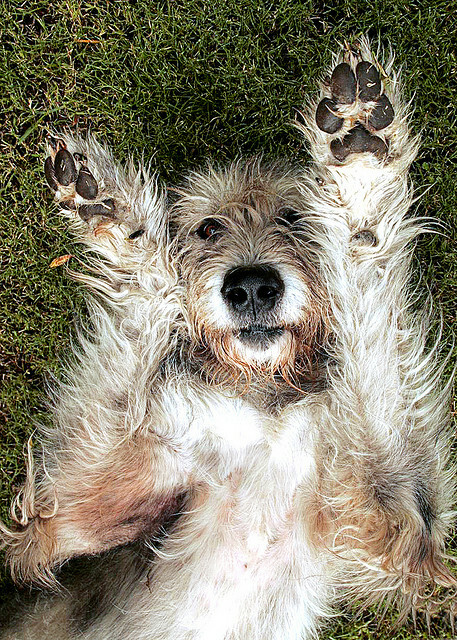 This breed is best for homes with a spacious play area because Wolfhounds need a lot of room to spread out. Just like the Mastiff, Great Danes are one of the largest dog breeds but are surprisingly gentle. Sure, a Great Dane is so huge it requires its own zip code but this dog breed is even-tempered and affectionate. And that what makes Great Danes perfect as apartment companions! Danes will grow up to 28 to 32 inches at the shoulder and weigh about 110 to 190 pounds. Danes do require regular walks but nothing too intense. A Dane is at its happiest when you’re at home sitting on the couch no doubt catching up on your soaps. It will join you as you relax because that’s what Danes do, they’ve mastered the art of chill. The Greyhound is not the 40-mph-couch potato for nothing! This sleek, gentle and affectionate dog breed is an ideal apartment dog because it wants nothing more than to luxuriate on any warm spot in your home and laze around all day. The mellow – almost lazy – temperament comes as a shock since Greyhound is a racetrack breed. Greyhounds are sizable and they weigh about 50 to 70 pounds. Males measures about 28 to 30 inches while females can grow up to 28 inches. Although they are large, Greyhounds are perfectly content in a small apartment. 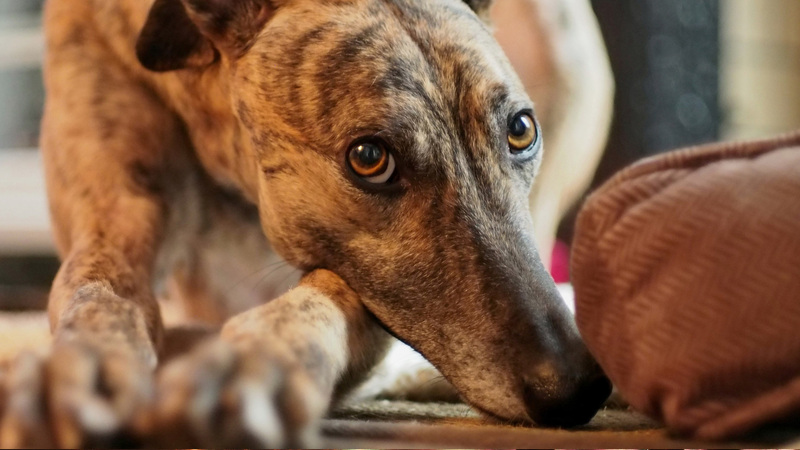 The Greyhound is one of the most adaptable dog breeds there is. Weighing in at 100 to 150 pounds and growing up to 28 inches at the shoulders, Newfies make a wonderful family dog, if you don’t mind the slobber. This dog breed is known for its gentle nature and calm disposition. 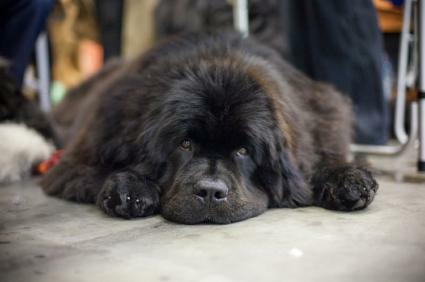 The Newfoundland is a working dog with a nurturing, life-saving instinct. This breed loves children and will do anything to protect its master. Newfoundlands are a couch potato too and this makes them a great pet for modest homes. Newfies are sometimes timid so they require training to get used to household sights and sound. This breed is prone to destructive behavior when it’s bored. To keep a Newfie on its best behavior, entertain your canine friend with lots of play and frequent socialization! With its expressive eyes and a rippling Mohawk running down its spine, a Rhodesian Ridgeback sure is one good-looking dog! Rhodesian Ridgebacks are pretty big dogs, measuring about 24 to 27 inches at the shoulders and weighing 75 to 100 pounds. They are powerful, muscular and intimidating-looking on the outside but a total sweetheart on the inside. 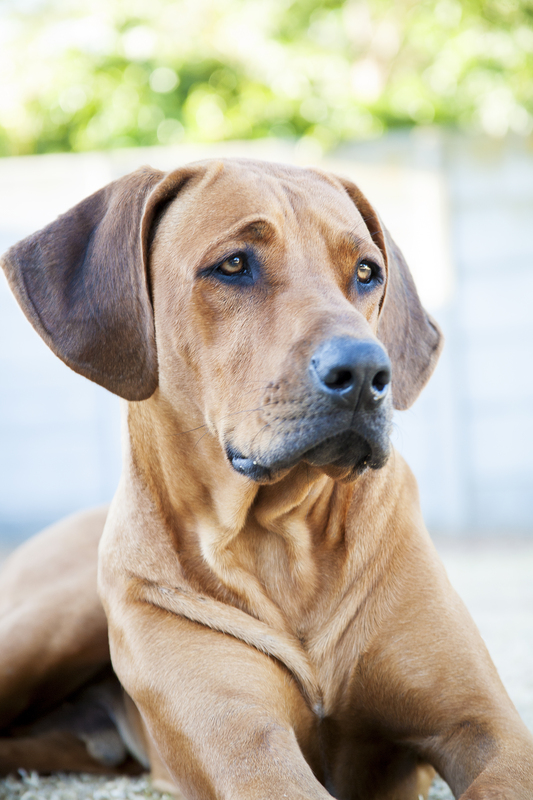 Ridgebacks are a herding and sporting breed but they are surprisingly mellow as a companion dog. This is the kind of dog breed that’s content at the prospect of lolling around a tiny apartment all day. Ridgebacks are sweet, playful, and even-tempered too! Since Ridgebacks are farm dogs, they will require plenty of exercise to keep them healthy and content. Pups are quite a handful because they love chewing on things. But train Ridgebacks well and they’ll make a wonderful canine companion. 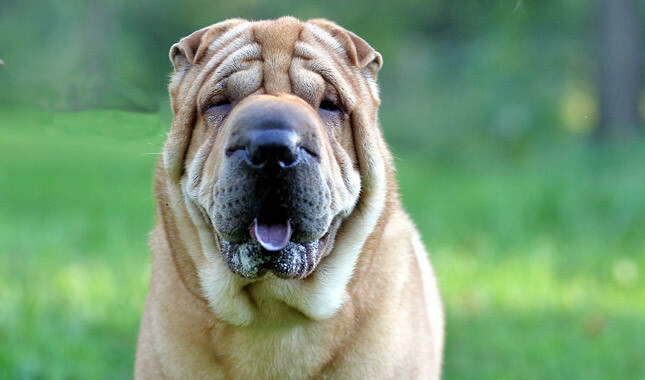 The Shar-Pei is one of the most unique-looking dog breeds with its innumerable folds, wrinkly face and blue tongue. It’s also quite large, measuring 18 to 20 inches at the shoulder and weighing in at 40 to 60 pounds. Shar-Peis are quite independent and proud with a stubborn streak. They make a perfect guard dog because they are smart, protective, and distrustful of strangers. They are, however, awkward when it comes to socializing because they are territorial. That being said, Shar-Peis are moderately calm and mellow. They have no problems adjusting to any home, including a tiny apartment or a studio. 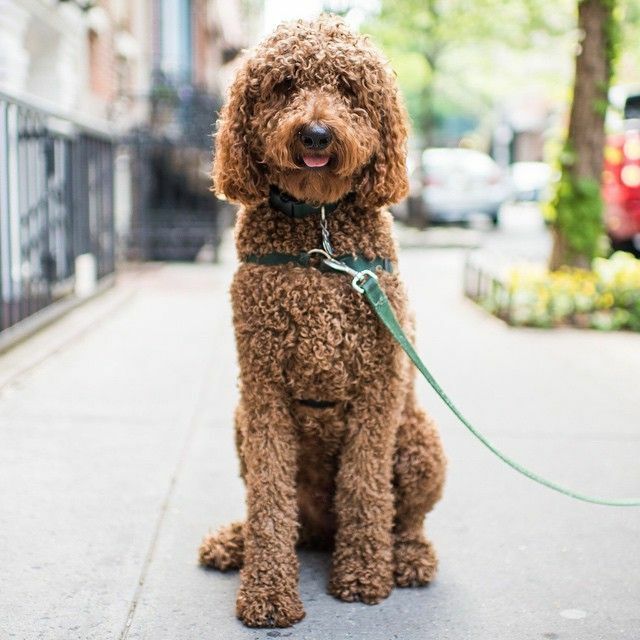 Also known as Spoo, Standard Poodles are curly haired canines with a sunny temperament and boundless energy. Spoos are perfect as apartment dogs. They are usually satisfied lounging around all day and they don’t bark often too. Spoos are sweet, playful and they love being around their masters all the time! A typical Standard Poodle is about 15 inches tall at the shoulder and weighs about 40 to 55 pounds so it’s a sizable breed. Poodles will be on their best behavior as long as they are getting enough attention and exercise. A long walk every day is enough to keep a Standard Poodle happy and content for the rest of the day! But if you’ve got a 9 to 5 job, get a dog walker. Also, your furry friend needs regular grooming too to keep its fur gloriously shiny and tangle-free! Basset hounds are even-tempered and good-natured that’s why they are suitable for small homes. 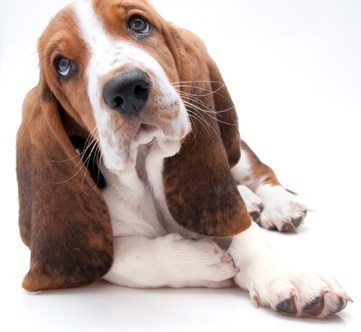 Bassets might look slow and sluggish because of its heavy body and short legs but they are a hunting dog at heart. These dogs will make full use of their sensitive noses, spending hours sniffing around and exploring every nook and cranny. A typical basset hound grows no more than 14 inches at the shoulder and weighs about 50 to 70 pounds. It’s a large dog breed but the short legs make them look smaller than they really are. Bassets love meeting new people and play dates in the park! They’re a hunting breed so bassets live for long and fast-paced strolls. If you’re not around for long walks during the day, it’s best to get a dog walker so the pooch won’t be bored. The English Bulldog is one of the most easily recognizable dog breeds in the world for a reason. This heavy-set, bow-legged, funky-looking dog with a distinct underbite is a popular family pet. A male American bulldog could grow up to 28 inches and weigh about 30 to 120 pounds. Despite its size, this dog breed will be perfectly at home in a tiny apartment. Bulldogs are a playful breed but only in spirit. In the flesh, Bulldogs are a couch potato. They do not require a lot of exercise at all. In fact, too much physical exertion could stress out the bulldog. It’s also worth noting that Bulldogs are incredibly sensitive to heat so they should be kept indoors most of the time.